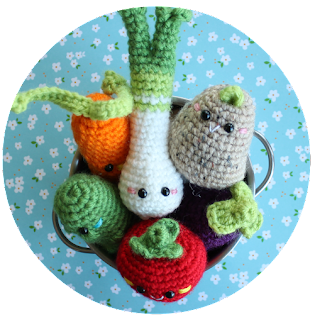 Amigurumi Food: New collaboration: The Winter Crochet book!! 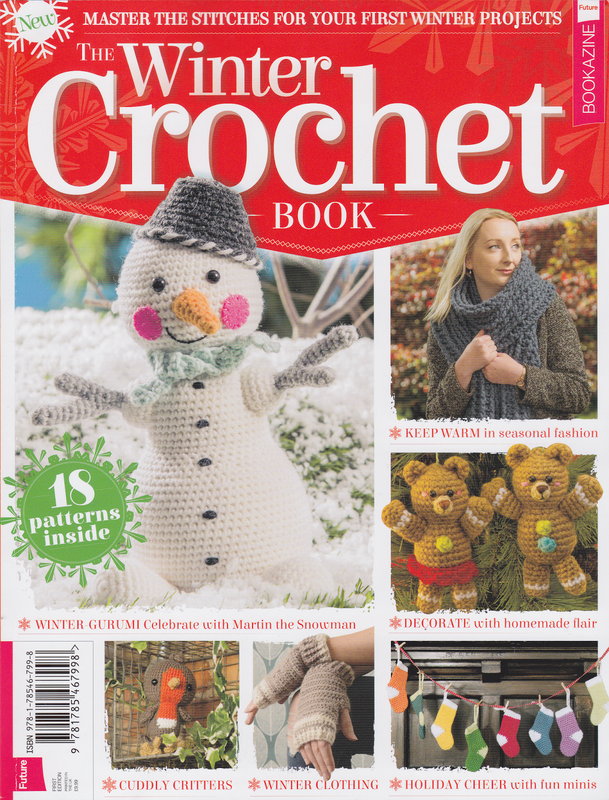 New collaboration: The Winter Crochet book!! Hi there!!!!!!!! I'm sooo happy and incredibly excited to show you my new collaboration for The Winter Crochet Book!! I present to you to the Sweet Christmas buddies. An adorable and fluffly couple of Gingerbears, Hot chocolate with marshmallow on top, Christmas pudding and Mint and Cherry candy canes to decorate your home this holiday! I was thrilled when I was asked to be part of this project. 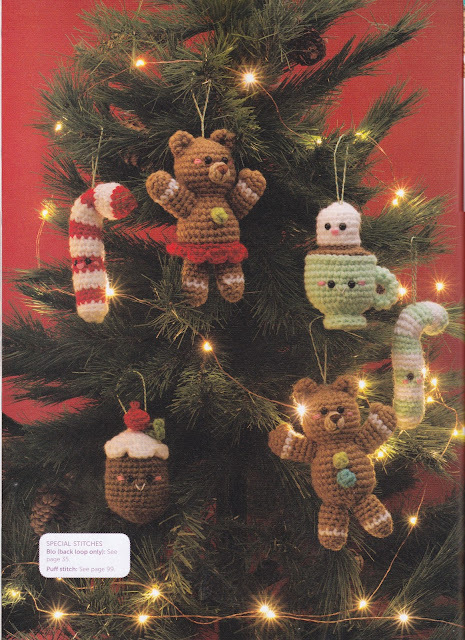 A Christmas Crochet book? Of course I couldn't resist! I love everything about the holidays and it was a perfect opportunity to share with others my work! I had a blast making this set and I would like to give a big thanks to Future Bookazine to invite me to be part of such an amazing project! Get warm this winter with crocheting your own garments with The Winter Crochet Book! Not only that, add fun decorations to your phone with bright and wonderful holiday-themed projects. 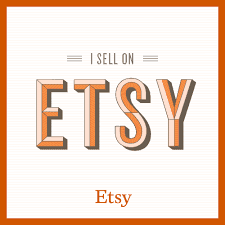 With all the techniques you will need inside, learn how to crochet today! 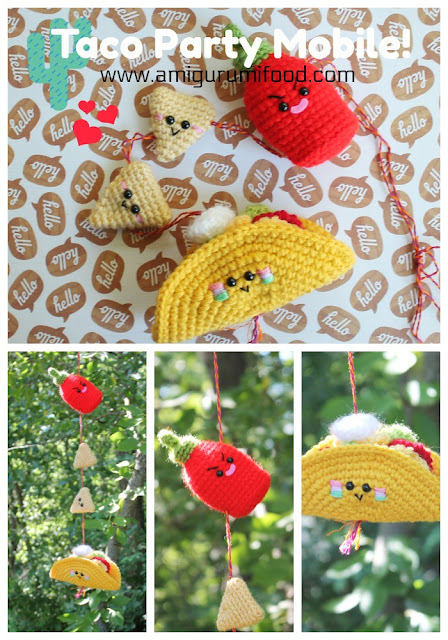 Spend a fun afternoon making these unique ornaments to decorate your home, to give them as a gift or make someone happy!! You can find this bookazine here. Hola a todos!!!! Estoy super contenta y ansiosa de mostrarles mi nueva colaboración para The Winter Crochet Book! Les presento los Dulces Amigos Navideños. Una adorable pareja de osos de galleta, Chocolate caliente con un malvavisco, un pudín navideño, y unos bastones de Menta y Cereza perfectos para decorar tu casa en estas fiestas!! Estaba super contenta cuando Jen de Future Bookazine me contactó para ser parte de este proyecto. Un libro de crochet navideño? No pude resistirme. Amo todo lo que tenga que ver con las fiestas y esta era una perfecta oportunidad para compartir mi trabajo con otros! La pase increíble haciendo este set, me gustaría dar las gracias a la editorial Future Bookazine por invitarme a participar en este proyecto tan maravilloso! Manteneté caliente este invierno creando tus propias decoraciones con este libro! No sólo eso, agrega divertidos adornos para tu teléfono sino también llena de luz tu alrededor con estos hermosos proyectos para las fiestas. Encontrarás todas las técnicas necesarias incluidas en el libro para que cualquier persona pueda aprender crochet! Pasa una tarde divertida haciendo estos únicos adornos para decorar tu casa, regalarselos a tus amigos o hace a alguien feliz!